Until now, if you wanted to work together in Prosper202 with a team of people, you had to all use the same login information to access your Prosper202 account. This meant that everyone had the same level of access and permissions to do anything they wanted once they logged in. With our new role based user permissions you can now have more fine grained control over who has access to login and what they are able to see and do once they login. Do you have a temp freelance that you need to setup a few campaigns? Just make an account for them, they can now setup offers and landing pages but not have access to your campaign results data. Prosper202 Pro comes with 4 predefined roles. 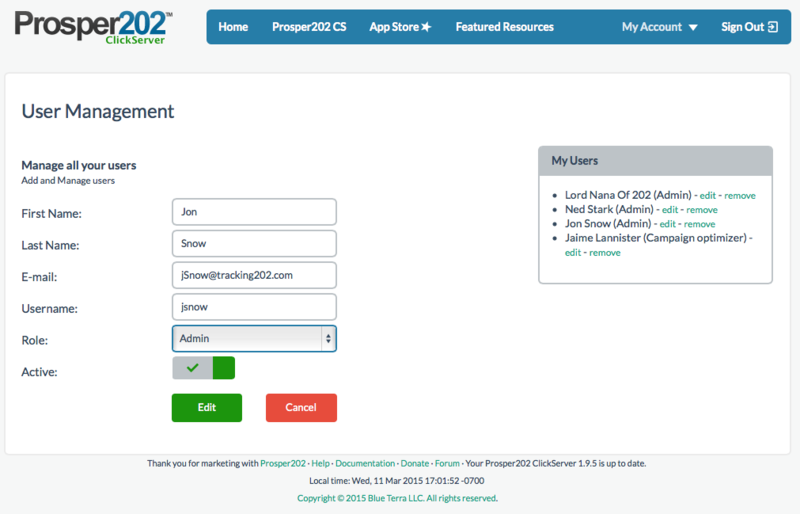 The super user is assigned to the account that was created when you first setup Prosper202 Pro. This user has access to all functionality inside of Prosper202. There is the Admin user for managing everything, the campaign manager account lets someone update and work in the account without being able to delete anything. Then there's the campaign optimizer who has limited insights and no permissions to edit anything. Which these pre-defined roles, you can now comfortably work with multiple team members and still have control over how much access and insights they have into your account. 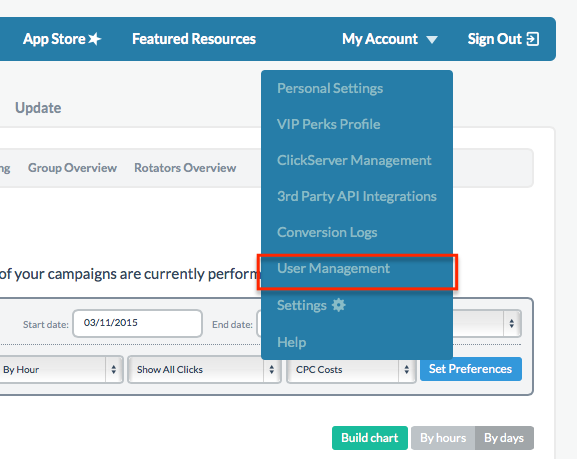 In our next few releases, you will be able to create your own custom roles to match your exact needs. So as you can see, if you are an agency, startup, small business or a bigger performance marketer working with a team of people, these new features are exactly what you need to comfortably give access to your Prosper202 account, while knowing you have the ability to limit access and prevent accidental deletion of settings or campaigns in the process. Additionally with our new Slack integration, you will get a full real-time audit log of everything that happens in your account, and know exactly who did it. Here are a few images of our new multiple user/team management features. You can get started with Prosper202 Pro right now with your 30 Day Free Trial. Q: Is there a restriction on how many domains I can install Prosper202 Pro on? Q: How about support? 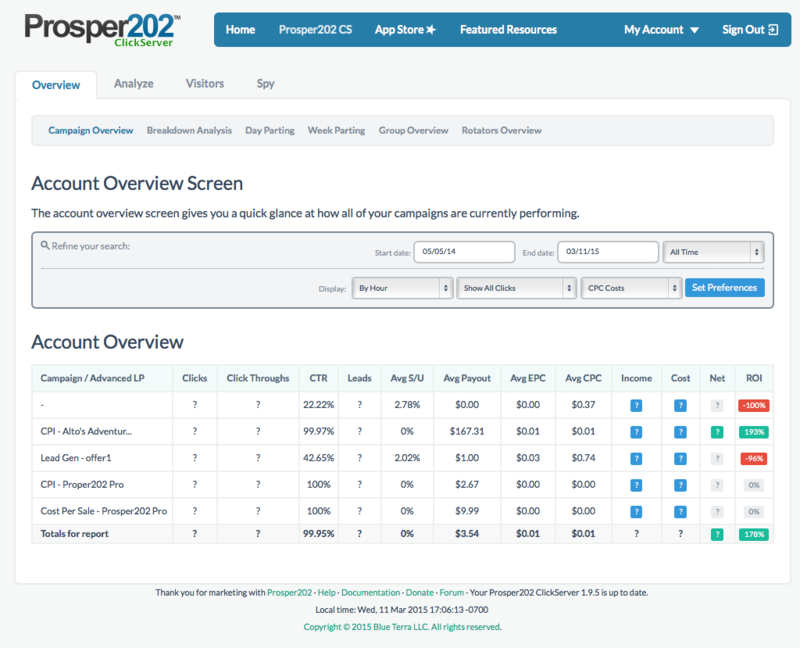 Get Started With Prosper202 Pro right now: Activate Your #0 Day Free Trial Today.